Chase, Herman. More Than Land (signed by the author). Stories of New England Country Life and Surveying, Dublin. William L. Bauhan. 1978. 159 pps. Octavo. Soft cover. First edition thus. Illustrated by Randy Miller. Signed by the author. Fine copy. Very light rubbing to covers. Chase, Mark. Contemporary Fast-Food and Drinking Glass Collectibles. Radnor. WH. 1988. 248 pps. Octavo. Soft cover. First edition. Illustrated. Fine copy. Chase, Stuart. Democracy Under Pressure. Special Interest vs. The Public Welfare. New York. Twentieth Century Fund. 1945. Octavo. Hardcover. Reprint. Fine copy in very good (light shelf wear) dust jacket (in mylar). Chatham, Lauren. Recipes. Our Friends' & Our Own. Sacramento. Sacramento Children's Home Guild. 1985. 246 pps. Octavo. Decorated hard cover. First edition. Illustrated. Fine copy. Chatterjee, Pratap. 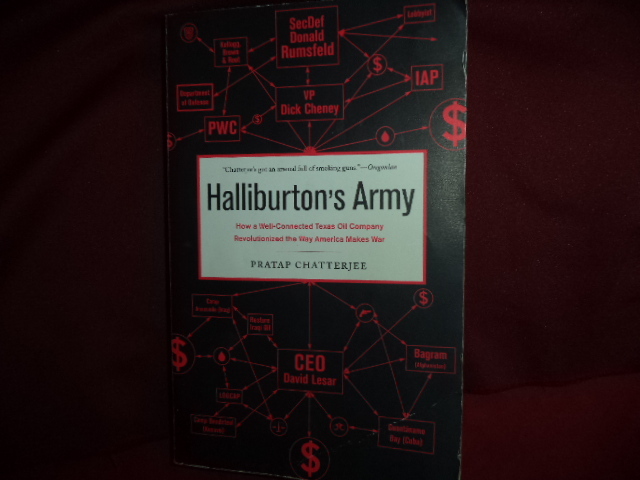 Halliburton's Army. How a Well-Connected Texas Oil Company Revolutionized the way American Makes War. Photo available. New York. Nation Books. 2009. 284 pps. Octavo. Soft cover. First edition. Full number line. Important reference work. Fine copy. Chatwin, Bruce. The Songlines. New York. Viking Press. 1987. Octavo. Soft cover. Near fine copy (very light shelf wear). Chatwin, Bruce. Utz. New York. Penguin. 1989. Octavo. Soft cover. Very good copy. Light shelf wear. Chavez, Ella et al. 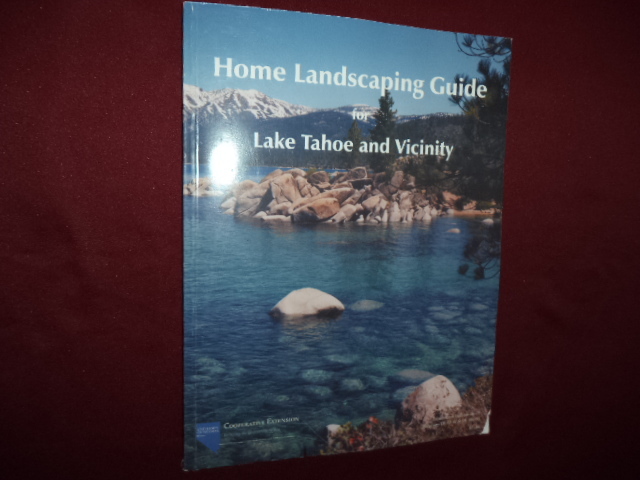 Home Landscaping Guide for Lake Tahoe and Vicinity. Photo available. Reno. Incline Village. University of Nevada. Cooperative Extension. nd. 4to. Soft cover. First edition. Illustrated in black, white and color. Fine copy (small chip on bottom, front panel). Chazan, Robert. European Jewry and the First Crusade. Berkeley. University of California Press. 1996. 380 pps. Octavo. Soft cover. Near fine copy (marker on several pages). Cheetham, Anthony. The War of the Roses. Berkeley. University of California Press. 2000. Octavo. Soft cover. First edition. Fraser, Antonia (ed). Illustrated in black, white and color. Fine copy (owner blind stamp). Cheetham, Nicolas. A History of the Popes. Photo available. New York. Barnes & Noble. 1982. Octavo. Hard cover. First edition thus. Fine copy in fine dust jacket (in mylar). Cheney, Lynne V. Telling the Truth: A Report on the State of the Humanities in Higher Education. Washington. National Endowment for the Humanities. 1992. 60 pps. Octavo. Soft cover. First edition. Fine copy. Cheney, Lynne V. Tyrannical Machines. A Report on Educational Practices Gone Wrong and Our Best Hopes for Setting Them Right. Washington. National Endowment for the Humanities. 1990. 64 pps. Octavo. Soft cover. First edition. Fine copy. Cheney, Sheldon. The Theatre. Three Thousand Years of Drama, Acting and Stagecraft. New York. Tudor. 1945. Octavo. Hardcover. Reprint. Illustrated. Fine copy. Cheney, Sheldon. The Theatre. Three Thousand Years of Drama, Acting and Stagecraft. New York. Tudor. 1945. Octavo. Hardcover. First edition thus. Illustrated. Fine copy. Cheney, Sheldon. The Theatre. Three Thousand Years of Drama, Acting and Stagecraft. Photo available. New York. Tudor. 1936. Octavo. Hardcover. Reprint. Illustrated. Fine copy. Cherry, Elaine. Fluorescent Light Gardening. New York. Van Nostrand Reinhold. 1965. 256 pps. Octavo. Hardcover. Reprint. Illustrated. Fine copy in near fine dust jacket (in mylar). Cherry, R.L. Words. Under Con-struct-ion. Tucson. University of Arizona Press. 1989. Octavo. Soft cover. Illustrated. Fine copy. Chesham, Sallie. Born to Battle. 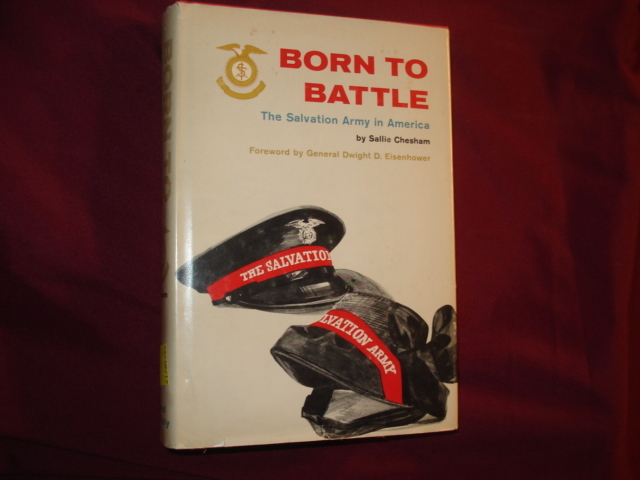 The Salvation Army in America. Presented to Bill Watson (AA). Important association copy. Photo available. Chicago. Rand McNally. 1965. Octavo. Hard cover. First edition. Illustrated. Presented to Bill Watson from Major Arthur Smith, Commanding Officer. Fine copy in fine dust jacket (in mylar). Chessick, Richard. A Dictionary for Psychotherapists. Dynamic Concepts in Psychotherapy. Northvale. Jason Aronson. 1993. Octavo. Hard cover. First edition. Fine copy in fine dust jacket (in mylar). Chessman, Caryl. Cell 2455. Death Row. A Condemned Man's Own Story. New York. Carroll & Graf. 2006. Octavo. Soft cover. First edition thus. Fine copy. Chetkin, Len. Guess Who's Jewish? (You'll Never Guess). Norfolk. Donning. 1985. 159 pps. Octavo. Soft cover. First edition. Illustrated. Fine copy. Cheung, William. The Lun Yu. In Chinese, English, French, Japanese. Photo available. Hong Kong. 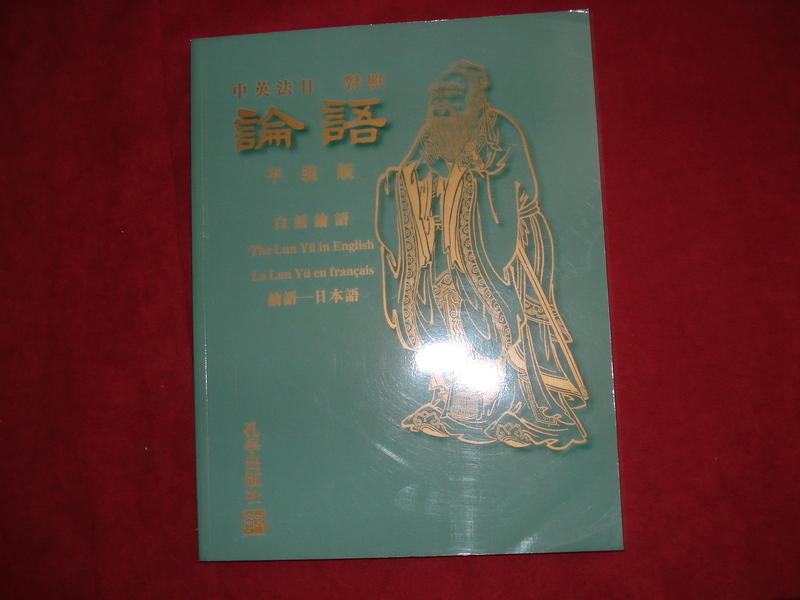 Confucius Publishing. 1996. 4to. Soft cover. Green wrappers. Fine copy. Cheung, William. The Lun Yu. 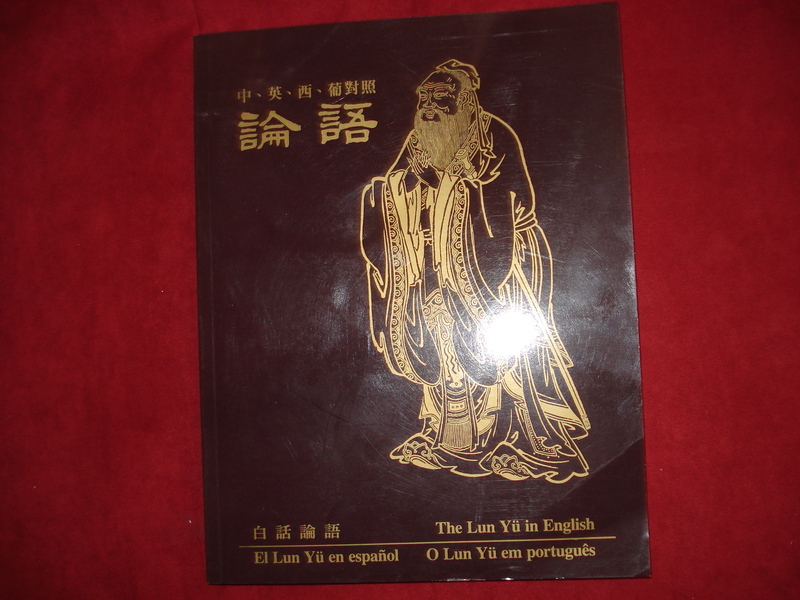 In Chinese, English, Spanish, Portugues. Photo available. Hong Kong. Confucius Publishing. 1996. 4to. Soft cover. Green wrappers. Fine copy. Chevalley, Abel (ed). The Concise Oxford French Dictionary. Photo available. Oxford. Clarendon Press. 1950. Octavo. Gilt decorated hard cover. Reprint. Fine copy.